The Henry custom apartment sofa was built for lounging. 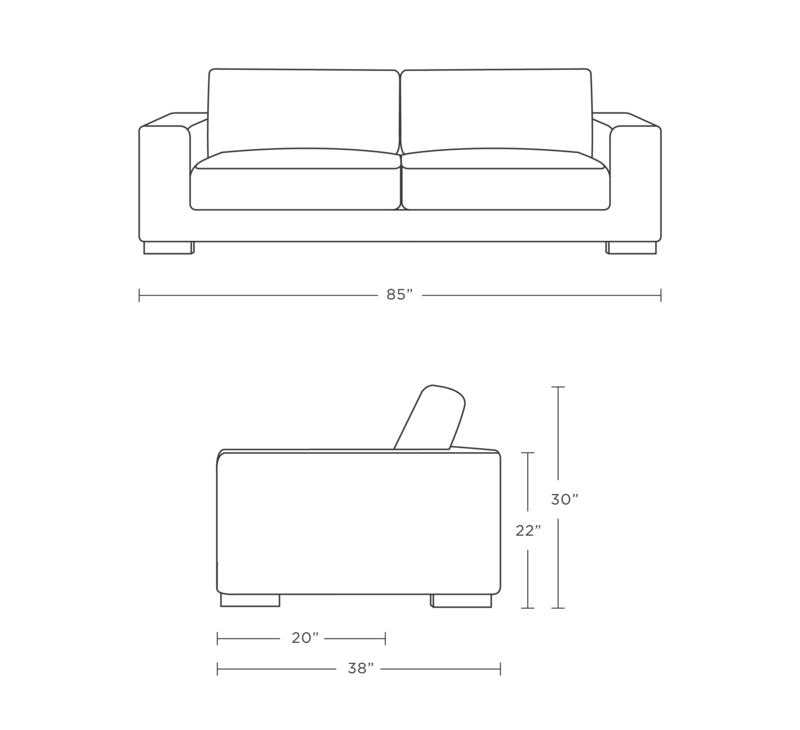 Its low-slung profile features a wide, boxy arm that's an ideal back, head, or book rest. Mitered corners, low legs, and other details add a subtle modern flair.